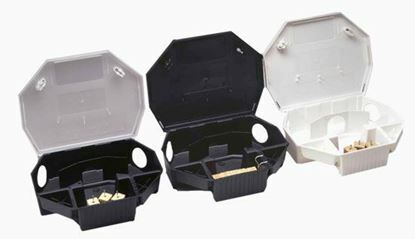 Aegis Mouse Bait Stations provide more rodenticide capacity than any other leading brand, allowing for two blocks of rodenticide or two pouches of soft bait. 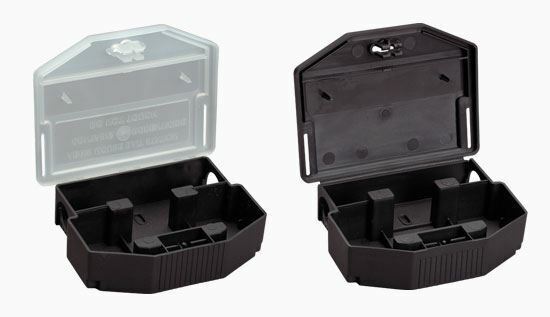 Additionally its SecurePoint™ technology makes it the best mouse station to hold soft bait. The SeBe (see the exit before entry) design entices mice to enter and feed. 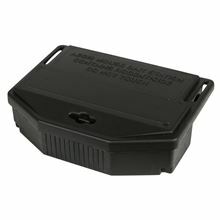 Aegis Mouse Bait Stations are available in a clear lid model with rotating hinges or an economical solid black model with living hinge. 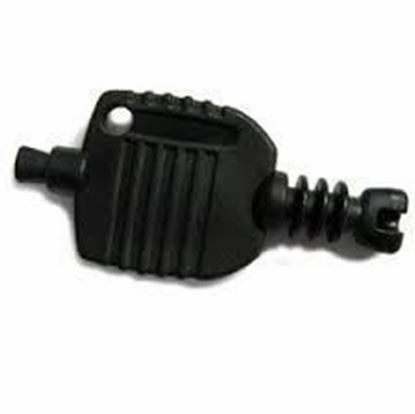 SecurePoint™ technology to hold bait (blocks or soft bait) tight in station. Fits in tight locations and offers vertical or horizontal mounting. Anchoring holes for securing the station to floors, walls or pipes. 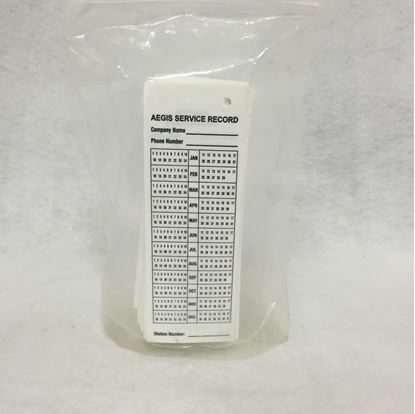 Easy and fast to service; same key as other Aegis products. 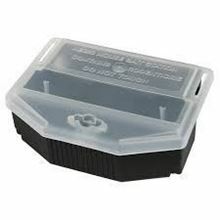 Easy-open lid allows for quick replacement of rodenticides. Clear lid allows for at-a-glance inspection and reduced service time. 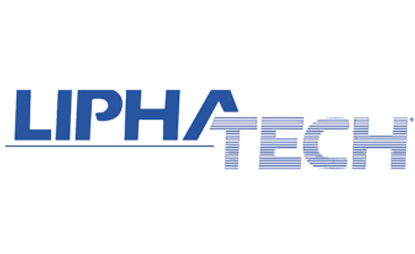 Provides years of economical, dependable service.